The new USB Type-C standard is the main port used by many new devices and has a big advantage over previous ports. It is a universal port for data, video, or basically a replacement for all the older ports used by computers. The problem many have is most devices still use older ports such as USB 3.0, HDMI, or SD-Card slots. USB Type-C hubs are low-cost devices that help solve this problems by giving new Type-C devices multiple ports. The AUKEY CB-C69 is one such hub that will give a new Type-C device 6 ports. Ports included are USB 3.0, SD-Card, and HDMI for video. The package comes with the Type-C HUB, Carry bag, and User Manual. 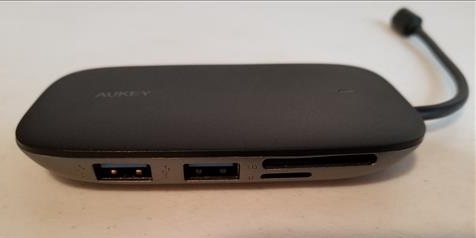 One side has 1 USB 3.0 and a HDMI video port. The other side of the HUB has 2 USB 3.0 ports, 1 standard SD-Card Slot, and 1 Micro SD-Card Slot. 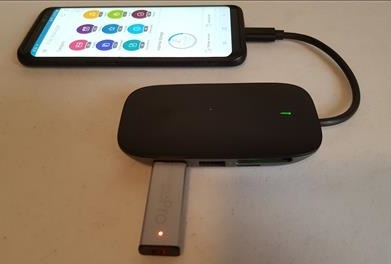 To copy files from from a USB flash drive or SD-card simply plug the HUB into a Type-C device. 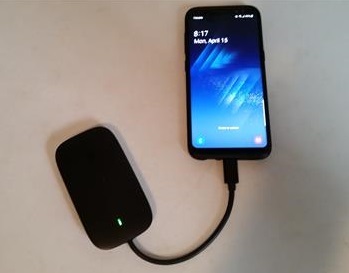 For example for testing I plugged it into a Galaxy S8 Edge and along with a USB flash drive. Going to File Manger files can be copied to and from the drive. The HUB draws power for the device it is plugged into so if using a smartphone be sure it is charged up for any long time use. 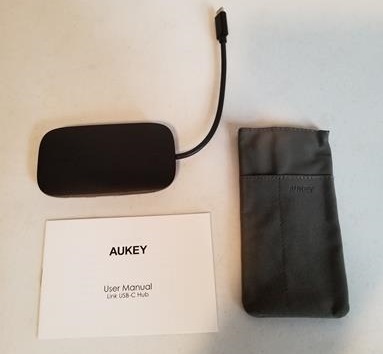 The AUKEY CB-C69 is a good USB Type-C HUB that will be very helpful in many scenarios. While it will likely be used mostly to copy files from older media such as flash drives and SD cards it can also display video to a TV or monitor. This make it good for quick presentations from new devices such as a Galaxy S8 or S9. Anything on the screen can be displayed onto a TV including 4K video. It is also compatible with the new MacBook Pro, Google Chromebook or most any new Type-C device.